If you are thinking of buying yourself a Kevlar body armor, you need to make your choice not on an impulse, but with some research. The vest you buy should meet your taste while providing you with maximum mobility, comfort and protection while providing the following technical specifications. A Kevlar bulletproof vest is a vest type body armor that is able to protect the user from different dangers and threats. It is worn on the torso shielding the upper body and its vital internal organs. Because of the Kevlar fiber used in its production, it was named as Kevlar bulletproof vest. Kevlar is a fiber used in most of body armors because of its superior ballistic resistance features. It was created in 1965 by Stephanie Kwolek, an employee of DuPont, when she accidentally discovered this fiber as her team was trying to design a lightweight but resistant material for tires. Kevlar is a waste material which is unbreakable, light in weight and has a great tensile strength. Kwolek presented this finding to DuPont and it was later on processed and developed. Today, Kevlar fiber has numerous and important applications such as for use in airplane interiors, helicopter blades, primary and secondary structures, and most importantly Kevlar fiber is used in production of body armors like the Kevlar vests, Kevlar helmets and Kevlar gloves. This fiber is used both on rigid and soft body armor because of the following characteristics: bullet and fragment resistance, outstanding thermal properties, flexible, lightweight, great dimensional stability, high tensile strength, comfortable, chemical and puncture resistant, and flame resistant. Because of these properties the Kevlar fiber used in the Kevlar bulletproof vest is known as the best material used on bulletproof vests. Thousands of lives of policemen and soldiers have been saved by wearing the Kevlar vest. It is the most preferred for military applications, and can protect the user from many hazards such as thermal hazards (i.e. 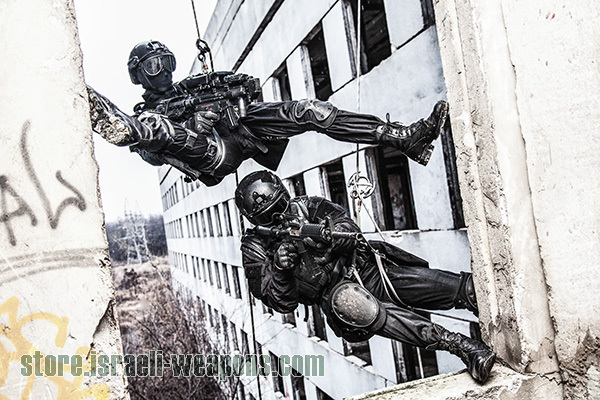 Heat and fire), chemical and biological hazards, stab and puncture attacks and bullet shots, as mentioned above. It is also important to wear for protecting the user from fragments of explosion and blunt trauma injuries. Choose a lightweight Kevlar bulletproof vest which passes the average standard weight of 2.5kg for IIIA. So in other words, it needs to weigh at least 1.5-2 kg when it offers maximum protection of IIIA. Different vests come with different protection levels ranging from Level I, IIA, II, IIA, III and IV where level I offers minimal protection. The protection level of Kevlar vests increases as its MIJ level increases. However the thickness and weight of the vest also increases with the increased protection level. The bullet proof vest thickness level is based on the level of protection you want for it. As mentioned earlier, the thickness changes with the protection rating where its protection rating increases with the vest’s thickness. This is because additional layers are added to the vest to provide for added protection. So you need to be specific while choosing your Kevlar body armor. You need to assess its risks and threat levels, and choose a piece that provides you with the desired protection. Make sure the bulletproof vest you choose passes the NIJ Testing and compliance test. You can find out by checking the vest’s labels for its NIJ certification, which proves that it has passed, and has met the NIJ’s minimum safety and protection levels. With an NIJ certification, it’s proven that NIJ has attested the manufacturer’s claims on the Kevlar vest durability and performance. It also proves that the vest has been evaluated for its safety, reliability and compliance to meeting the minimum requirements of the National Institute of Justice. Generally, the vest has to pass the NIJ standard 01.01.06 to receive an attestation from NIJ.